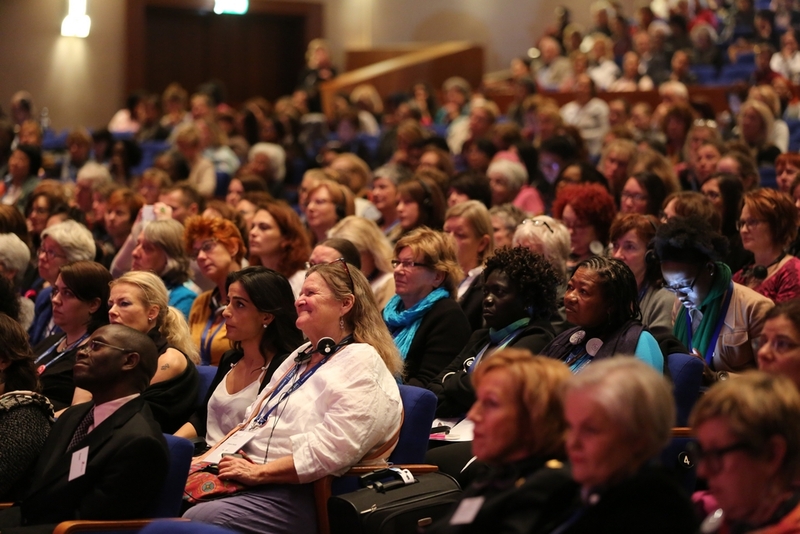 Breakout workshops and seminars at 4WCWS will provide multiple platforms for exchanges of ideas, and informed discussions between practitioners, policy-makers, academics and survivors on innovative solutions to the epidemic of violence against women. Workshops and mini-seminars will take place concurrently after each of the five plenary sessions on Art and Advocacy, New Methods in Shelter Management and Social Work, Policy and Legislation, Equality and Economic Empowerment, and Emerging Issues. Workshop organizers and mini-seminar presenters will develop the issues raised in the plenaries, introduce new practices and developments, highlight case studies and practical solutions to local problems, facilitate imaginative brainstorming on innovative ideas, and engage in deeper discussions with other attendees. Applicants have the option of applying to facilitate a 90-minute or 180-minute workshop, or giving a short presentation with other speakers in a mini-seminar facilitated by an independent moderator. To avoid topic-overlap and to promote networking, we encourage workshop presenters to be open to the idea of allowing us to combine your session with another facilitator. The official conference language is English. The plenary sessions will have simultaneous translation in Chinese, French, Spanish and Japanese. In the breakout sessions you can present a workshop or paper in any language, but please note there will be no translation service. For non-English applicants, please provide your own translation or feel free to apply to give a workshop in your language of choice - though this may limit your audience. All rooms are equipped with audio-visual equipment. Most rooms also have a whiteboard. Seating arrangements are flexible - we ask that you arrive early to set up your room. Please bring your own laptop, laser pointer, adapter or other equipment. If you have special technical requirements please indicate so on your application and we will try to accommodate you. Submit a workshop/presentation proposal here. 4WCWS provides an opportunity for shelter organizations, other NGOs, government agencies and grant-making organizations to showcase their products and services to the world. With 1,500 delegates expected, the conference allows organizations to reach a globally diverse group, meet potential collaborators, and discuss future partnerships. We are offering two kinds of spaces: large booths with a walled space and other facilities, and a simpler standalone table with basic facilities. Both are available at a bargain cost price. Exhibitors will also be visible in the program book and on the conference website. Ensure your participation by applying for a space early. Click the button below to fill out the online application form. Once you pass the review process, you will receive an invitational email with links to proceed to booth payments.